In 2050 the world population will be close to 10 billion people. Will it be possible to feed everyone a healthy and sustainable diet? A new scientific paper says yes – on the condition that we transform our food system. Q&A with Dr Marco Springmann, Oxford Martin Programme on the Future of Food. In January 2019, the EAT-Lancet Commission’s report on Healthy Diets from Sustainable Food systems will be launched. 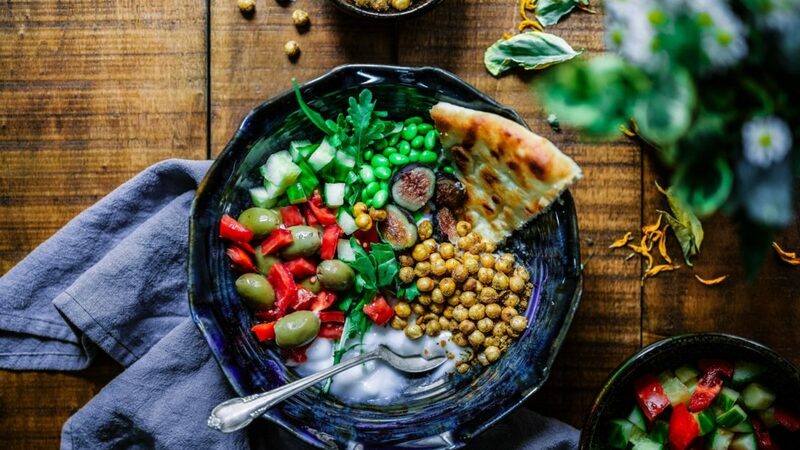 Establishing scientific consensus on how it is possible to feed the projected global population of 10 billion a healthy and sustainable diet, the report is an absolute game-changer. Not only will it spell out scientific targets for diets of the future, but present practices and policies that will meet them. Prior to its 2019 release date, the Commission’s sister paper ‘Options for keeping the food system within environmental limits’, has been published in the scientific journal Nature. In this interview, EAT speaks to EAT-Lancet Commission contributor and the paper’s lead author, Dr. Marco Springmann from the Oxford Martin Programme, on the future on food. Springmann highlights why this paper is so important, and how it is connected to the EAT-Lancet report. Q: How is the paper linked to the EAT-Lancet Commission? A: The EAT-Lancet Commission started with the broad idea of realigning food systems in order to deliver on the twin challenges of feeding a growing population healthily and sustainably. Whilst some research had been done on specific environmental and health impacts, for example on greenhouse gas emissions and diet-related disease mortality, there were no studies that provided a comprehensive overview of the various environmental impacts of the food system and how to reduce them. So, we decided to generate a piece of independent research to feed into the EAT-Lancet report. This is the background for our paper ‘Options for keeping the food system within environmental limits’ that is now appearing in the journal. We wanted to advance the technical science as well as the overarching advocacy work. The EAT-Lancet report will of course be more comprehensive and expand on several aspects that are only touched upon in the paper. Q: What does the paper set out to explore? A: The paper looks at how to keep the food system within environmental limits. What we wanted to do is to quantitively estimate where we are headed and understand what we can do about it. We know from the research on Planetary Boundaries that we are in the process of exceeding several environmental limits beyond which ecosystems become at risk of being destabilized. We also know that the food system itself is responsible for a large portion of the environmental impacts that, taken together, might push us away from a safe environmental operating space. For example, the food system emits about a quarter of all greenhouse gas emissions, uses around 70 per cent of freshwater resources and takes up 40% of the Earth’s land surface. In addition, it is the primary driver behind the excessive global use of nitrogen and phosphorous that is found in fertilizers, which has already led to dead zones in oceans. Q: What did the paper find? A: We found that, without concerted action, the environmental impacts of the food system could increase by about 50-90%, driven by population growth and a dietary transition towards more processed and animal sourced foods. In that case, all of the Planetary Boundaries connected to the food system would be exceeded, and some of them, such as those related to greenhouse gas emissions and fertilizer use even by a factor of two. Based on this backdrop, we assessed what measures we have at our disposal that could reduce the environmental impacts of the food system sufficiently to stay within environmental limits. We grouped the measures into three categories: (1) reductions in food loss and waste, (2) improvements in technology and management practices, and (3) dietary changes towards healthier and more plant-based diets. Everybody can make a difference by adopting healthier and more plant-based diets, supporting businesses with sustainable practices, and demanding clear and strong environmental and health regulation from policymakers. Q: What does the paper suggest we do? A: The short answer is: all of the above. We found that dietary changes towards healthy and more plant-based diets are essential to avoid dangerous levels of climate change. They could reduce the greenhouse gas emissions of the food system by more than half, and also reduce other environmental impacts, such as those from fertilizer application and the use of cropland and freshwater, by a tenth to a quarter. In addition to dietary changes, improvements in management practices and technologies in agriculture are required to limit pressures on agricultural land, freshwater extraction, and fertilizer use. For example, increasing agricultural yields from existing cropland, balancing application and recycling of fertilizers, and improving water management, could, along with other measures, reduce those impacts by around half. Finally, halving food loss and waste is needed for keeping the food system within environmental limits. Halving food loss and waste could, if globally achieved, reduce environmental impacts by up to a sixth. Q: Do we have reason to be optimistic? A: The good news is that many of the options we assessed have been or are being implemented in some regions of the world. Israel, for example, manages its water resources very efficiently, the Netherlands monitor how much fertilizer is being applied to avoid water pollution, the UK has started several initiatives aimed at reduced food waste, and many young people in big cities are changing their diets towards more plant-based ones. The challenge will be to upscale those efforts, and make sure it’s not only high-income countries that have access to modern farming technologies and a nutritious food supply. That needs global cooperation and international support mechanisms. And what is probably needed in all countries is much more stringent regulation, be it of environmental resource use and pollution, the recycling of food loss and waste, or national dietary guidelines that very often do no reflect the current scientific evidence on healthy eating and the environmental impacts our dietary choices have. Here everybody can make a difference by adopting healthier and more plant-based diets, supporting businesses with sustainable practices, and demanding clear and strong environmental and health regulation from policymakers. Q: What are the three most important takeaways from this paper? a) Without concerted action, our food system is on course to exceed key planetary boundaries beyond which ecosystems are at risk of being destabilized. b) To stay within environmental limits, a combination of measures are needed, including dietary changes towards healthier and more plant-based diets, improvements in farming technology and management, and reductions in food loss and waste. c) Implementing those measures will need action across the entire food chain, from production to consumption, and by many actors, ranging from individuals and civil society over business leaders to policymakers. Dr Marco Springmann is a senior researcher in the Oxford Martin Programme on the Future of Food and the Centre on Population Approaches for Non-Communicable Disease Prevention in the Nuffield Department of Population Health at the University of Oxford in the UK. He leads the Centre’s programme on Environmental Sustainability and Public Health, and is part of an interdisciplinary group of researchers working on the health, behavioural and environmental aspects of dietary changes in the Wellcome “Our Planet, Our Health” partnership on “Livestock, Environment and People” (LEAP).